Keeping prototype builds current isn’t always easy as hardware options change quickly. Motherboards and server cases especially seem to come and go on a monthly basis. Instead of constantly attempting to keep each and every build current, I’ll just add some alternative components here. I’ll list the component I use first, then alternatives below. Discussion here. Note that these cards ship from Asia and therefore take around 3 weeks to ship to the US. These are the components that we have used in past prototypes, but have since replaced them because they are either EOL’d (end of life’d), discontinued, or largely unavailable. However, if you happen upon any of these components, then by all means go for them! They are all good quality and proven in the unRAID community. Cooler Master Centrurion 590 – Oh how we all miss you. Simple, elegant, cheap. Nothing this good ever lasts forever. Xigmatek Utgard Original CPC-T90DB-U01 – This case has been discontinued, but the replacements are pretty similar. Xigmatek Utgard Mesh CPC-T90DB-U03 - This case has been discontinued. The replacement has a large side window instead of mesh. Thermaltake V5 – Another discontinued case. I was never a huge fan of the large handle on top anyway. GIGABYTE gz-ph2a3 – This miniTower case has been discontinued and replaced with a few nicer-looking options. Biostar A760G M2+ – The original 15 Drive Budget Board. Great while it lasted, but has been discontinued. Also worked well in smaller cases as it was a good 2 inches shorter than most MicroATX motherboards. Supermicro MBD-C2SEE-O – The original 20 Drive Budget Board. At the end of the board’s production cycle many of us were lucky enough to pick one up for a mere $20 shipped. For nostalgic purposes, here’s the thread. Supermicro MBD-C2SEA-O – Another 20 Drive Budget Board, just a slight variation on the C2SEE. JetWay JHZ03-GT-LF (more info) – A great budget board for 20+ drive servers, unfortunately appears to be EOL’d. JetWay JMA3-880GTV2-LF (more info) – A short-reigned budget board, it was discontinued about two weeks after I declared it the champion of my first round of budget board testing. Intel Core i3 530 – The original 20 Drive Beast CPU. I haven’t seen this CPU for sale for many months so I assume it has been EOL’d. As of August 24, 2011 it is back in stock! Still, it is more expensive than the i3 540 so there’s no reason to choose it. AMD Sempron 140 – The original Budget Box CPU. The Sempron 145 is marginally faster and is selling for close to the same price, so I’m not complaining. AMD Sempron 130 – This CPU is marginally slower and marginally cheaper than the Sempron 140, but it should still work just as well for a budget box type of server. I prefer the Sempron 140/145 only because it ships with a heatsink and fan, whereas the Sempron 130 is just a bare CPU. If you already have a CPU heatsink/fan that you would like to use in your server, or if you plan to upgrade that component anyway, then don’t hesitate to use the Sempron 130 and save a few bucks. COOLER MASTER R4-S2S-124K-GP 120mm Case Fan (4 pack) – I originally recommended these cheap fans as upgrades for the Norco rackmount cases, but since have revised my recommendation for some better quality fans that will provide better cooling for drives. These ones are still fine to use if you are on a tight budget. All prices in this section are current as of January 11, 2012 unless otherwise noted. Expandability: Expandable to the 4 Drive microServer or the 5 Drive miniBox with replacement of hot swap bays. 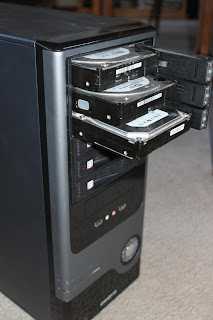 Expandable to 6 Drive miniTower with replacement of hot swap bays and case. 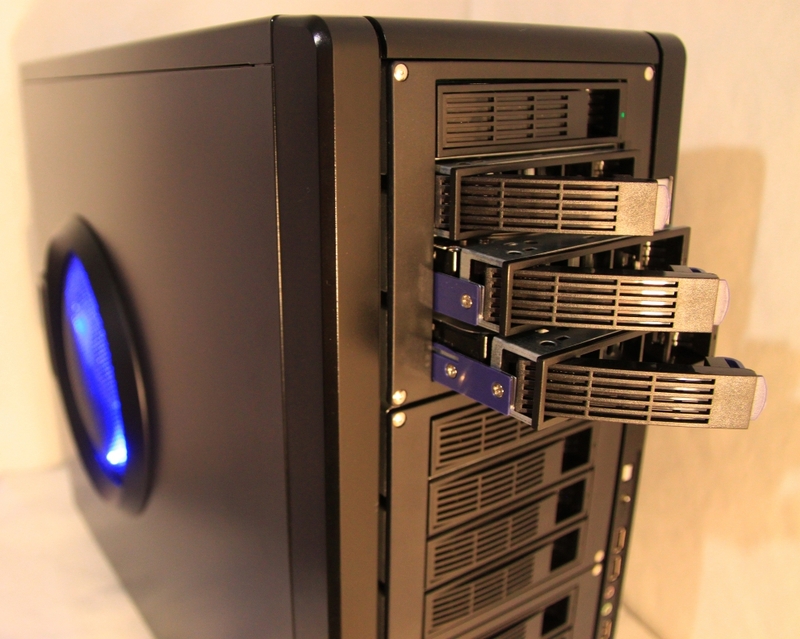 Expandability: Expandable to the 5 Drive miniBox with replacement of hot swap bays. 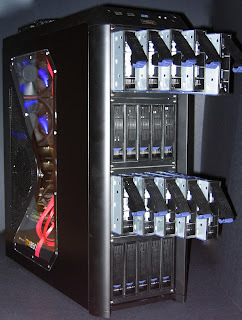 Expandable to 6 Drive miniTower with replacement of the single hot swap bay and case (but the 3-in-2 will still be used). Expandability: Expandable to the 6 Drive miniTower with replacement of the hot swap bays and case. Mobo: ASUS M4A78LT-M (more info; be careful when shopping around, as there is an LE version and a non-LE version of this motherboard. You want the non-LE version!) new budget board testing underway! Expandability: Expandable to the 15 Drive Budget Box with replacement of the motherboard and the power supply. Expandability: Expandable to the Budget Box series with replacement of motherboard, case, and possibly hot swap bays and power supply…though by that point you are basically building a new server. 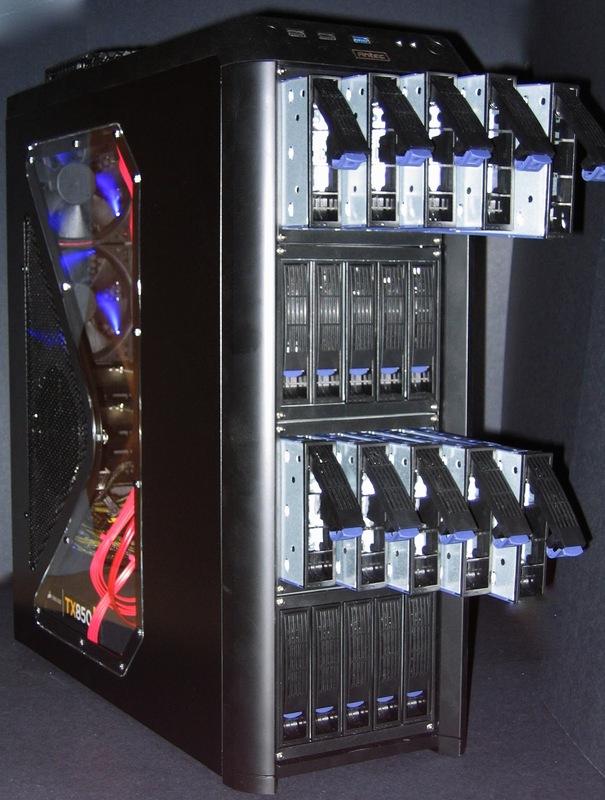 Expandability: Expandable to the 10 Drive Budget Box with replacement of hot swap bays. 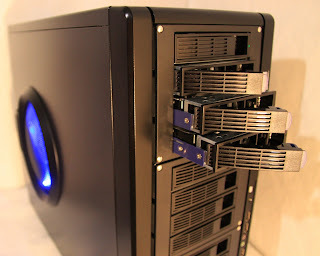 Expandable to the 15 Drive Budget Box with replacement of the motherboard, the hot swap bays, the PCIe SATA expansion card, and the power supply. Expandability: Expandable to the 15 Drive Budget Box with replacement of the power supply. Expandability: Expandable to the 15 Drive Budget Box with replacement of the motherboard, the power supply, and the two single hot swap bays. Expandability: Expandable to the 15 Drive Budget Box with replacement of the motherboard, the power supply, and the hot swap bays. However, this one really isn’t intended to be expandable. If you are thinking of expanding to the 15 Drive Budget Box, go with the original 12 Drive Budget Box instead (not this alternate model). All prices in this section are current as of June 16, 2012 unless otherwise noted.